Congratulations! We’re excited that you’re attending the Million Dollar Speaker Summit! Click the link below to join the Facebook event. 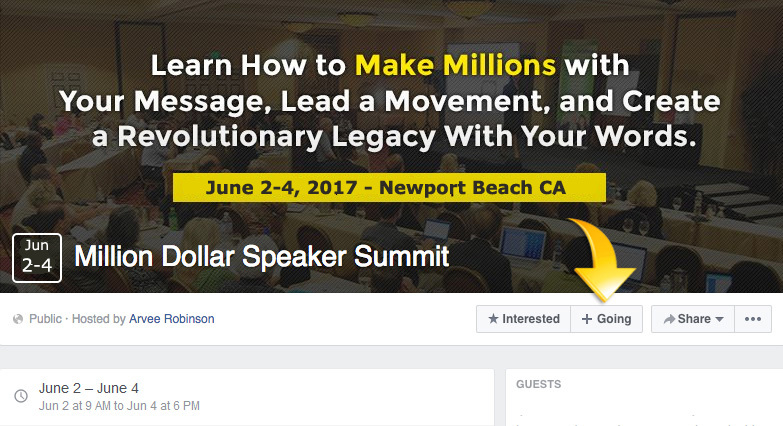 You should definitely take the time to do this, because during the Million Dollar Speaker Summit we’ll use the Facebook event for announcements and tons of other information. Once you have RSVP’d, you’ll get periodic event updates to keep you informed of the various activities that will be happening in conjunction with the conference. Once you’ve completed those 3 steps, you’re all set! You won’t have anything else to do until you get to Newport Beach. And we’ll be keeping you up to date on the latest Million Dollar Speaker Summit news via email and the Facebook event as we draw closer to June 7th. 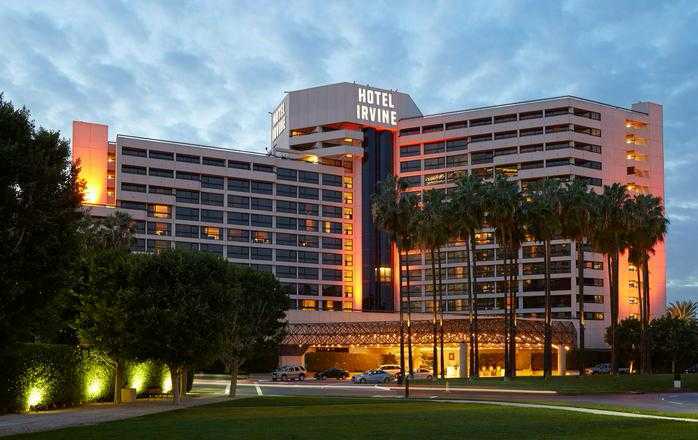 See you in Irvine, CA.